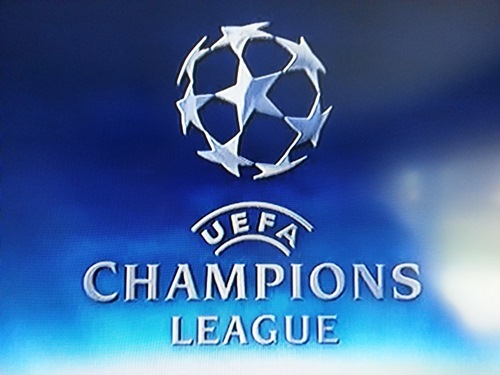 This Tuesday and Wednesday feature the final games in the Champions League group stages. The first and second place teams will advance to the knockout round of 16 while third place teams get entered into the Europa League and fourth place teams go home. Groups E, F, G, and H play on Wednesday with three of the groups up for grabs. Group E is the closest with Schalke, Basel and Chelsea all able to win the group based on results. Group F can also be won by three clubs with Arsenal, Borussia Dortmund and Napoli all vying for the top place. Group H is a battle primarily between Barcelona and AC Milan, but Barcelona hold the edge in their home match. Group G has already been won by Atletico Madrid, but second and third are still up for grabs. In making my predictions for Champions League matches I do not take into account how the team has been playing in their domestic leagues. This is due to the difference in play in the competition and how often teams ignore their league form and play better, or worse, in Champions League matches. Too often the tactics and play in continental competition is so much different. Group E: Chelsea’s Champions League run has been rather disappointing. They are in a group that they really should have won by now. Instead one point separates them from second and two points from third. A loss coupled with a Schalke win would see them dropped into the Europa League. My prediction is that Chelsea will beat Steaua Bucuresti (who have no wins in the group) while Schalke narrowly defeat FC Basel. This would put Chelsea top of the group with Schalke also going through to the round of 16. Group F: Arsenal will win the group with either a draw or a win. They could also still win the group with a loss based on the result in the other match and how many goals are scored. Borussia Dortmund need to win and score enough goals to surpass Arsenal while also hoping Arsenal lose if they want to win the group. They also need to get a win to ensure they go through. Napoli could still pass Dortmund for second place if they win and Dortmund lose or draw, or if they draw and Dortmund lose. My prediction is that Napoli and Arsenal will draw while Borussia Dortmund keep Marseille from getting any points. This would put Arsenal through as group winners with Borussia Dortmund into the knockout round in second and Napoli into the Europa League. Group G: Atletico Madrid has won their group with a 4-1-0 record and 13 points. Zenit St Petersburg and FC Porto still have plenty to play for with Zenit in second on six points while Porto are one behind them with five. The last matches favor Zeni as Porto travels to Madrid. Austria Wien did draw against Zenit previously for one of their two draws. My prediction is that Porto will be able to get a win over an Atletico team that does not have much to play for while Zenit also wins. This would put Zenit into the knockout round while Porto move on to the Europa League. Group H: Group H is all but won by Barcelona, but there is still plenty to play for. Ajax could still take a place in the round of 16 if they can get a dramatic win at AC Milan in Italy. If Barcelona lose to Celtic and AC Milan win then Milan will go through as group winners. As it stands, it looks most likely that Barcelona will go through as group winners with AC Milan taking second while Ajax move into the Europa League. That is my prediction, with Barcelona winning and AC Milan winning as well.